Students find the differences between the pictures and make sentences using much, many, some, any, a, an and a lot of. Then the fill in the gaps in a conversation about food. 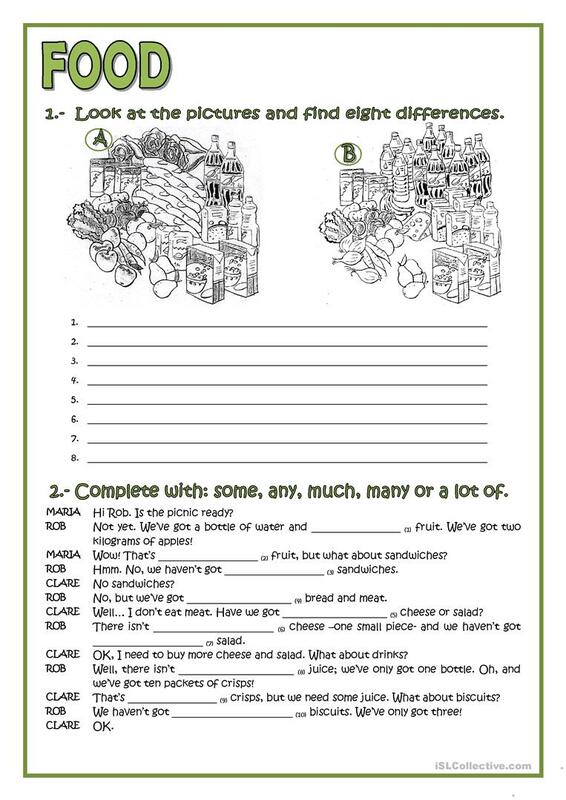 The present downloadable printable is recommended for high school students, elementary school students and adults at Elementary (A1) and Pre-intermediate (A2) level. It is aimed at teaching Quantifiers (e.g. some, many, much, any, few, little) in English, and can be used for strengthening your students' Speaking and Reading skills. It focuses on the theme of Food.